Modern Asian decoration by Evergreen! 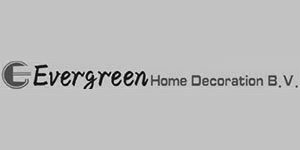 Evergreen Home Decoration is an importer of interior products such as mirrors, lanterns, clocks, paintings, photo frames, and much more! A wide range of attractive products in a modern Asian style. Come and discover the collection by Evergreen! Evergreen Home Decorations has a spacious stand and offers products that are guaranteed to make your collection stand out. Curious? Come and visit Trends & Trade soon!